Shop Behringer PM1 Personal In-Ear Monitor Belt-Pack from AMS and enjoy Fast & Free Shipping. 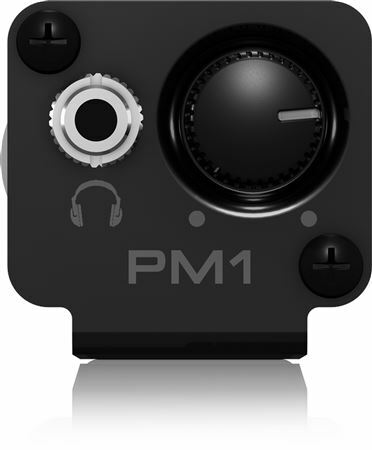 Designed for keyboardists, drummers or any other musician whose performance keeps them anchored in one spot, the Powerplay PM1 is a convenient hard-wired personal in-ear control center. 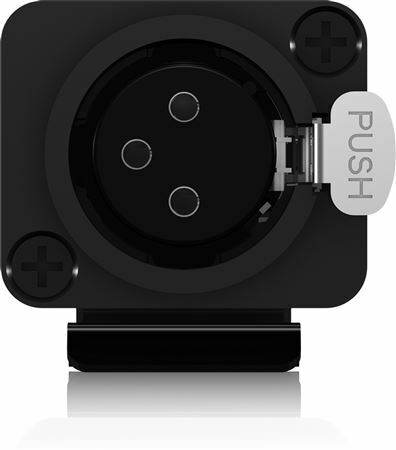 The PM1’s belt pack puts monitor control right at your fingertips, plus it’s lightweight, ultraeasy to use – and it doesn’t require a power source! 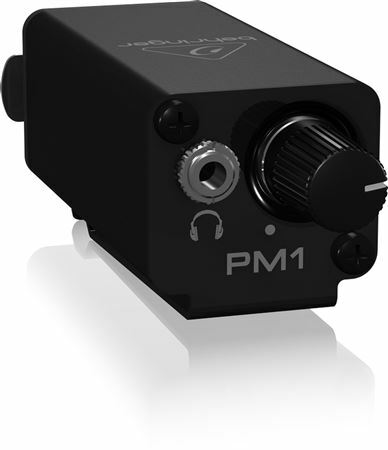 The PM1 features an extremely high-quality volume control for dialing in the perfect level every time. Designed for long life and super smooth performance, this detented control stays where you put it. 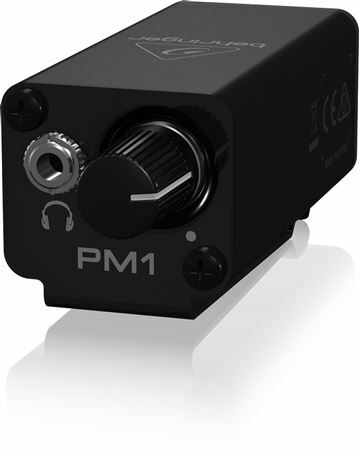 You can use your favorite headphones, earbuds or custom-molded professional In-Ear Monitors (IEMs) with the PM1, thanks to the top-mounted, standard 3.5 mm (1/8") stereo output jack. When you do need to move around, say to change your amp or stomp settings, PM1’s built-in belt clip will always keep it close at hand. Just slip the PM1 onto your waistband or belt and let the good times roll! Behringer always strive to provide the best possible Customer Experience. Behringer products are made in their own MUSIC Group factory using state-of-the-art automation, enhanced production workflows and quality assurance labs with the most sophisticated test equipment available in the world. As a result, Behringer has one of the lowest product failure rates in the industry, and confidently back it up with a generous 3-Year Warranty program. Ordered the wrong thing and was surprised by its compact size and performance. Does not have an internal amplifier but the size makes up for that. Works great! Takes a few tries to get proper gain figured out. But other than that it's perfect. I ran it direct from digital snake bus monitor output and turned up the gains on the Behringer X32! I love this product. Very useful on the run. The product itself is very good. It says stereo in the description, but it’s mono.